Today’s competitive society is full of stressed people. Extreme and debilitating distress, along with the fear of being judged and criticized by other people can cause panic and social anxiety, characterized by intense sweating, shaking, muscular tension, confusion, and an elevated heart rate. Social anxiety can make social situations very difficult, and if it occurs often, it can severely interfere with day-to-day activities, to the point where socially anxious people will avoid social interactions all together. Social anxiety is also known as social phobia, as defined by the Diagnostic and Statistical Manual of Mental Disorders (DSM-5). With up to 10.7% of people experiencing this condition at some point in their life, it is the third most common lifetime anxiety and mood disorder in the United States. Social anxiety, a debilitating disorder that makes social situations extremely distressful and difficult to navigate, is the third most common lifetime anxiety and mood disorder in the United States. Some research suggests that phobias are, at least in part, hereditary. In fact, a recent twin-study found that the sibling more likely to develop social phobia was the one that inherited genes predisposing them to neuroticism, a personality trait characterized by the tendency to respond poorly to stressors, often leading to the experience of negative emotions, such as anger, envy, nervousness, guilt, anxiety, and depression. Fortunately, there are a variety of potential treatments for this disorder. Traditionally, cognitive behavioral therapy and selective serotonin reuptake inhibitors (SSRIs) are used. Recently, probiotics (defined as “live microorganisms that, when administered in adequate amounts, confer a health benefit to the host”) have shown promise as a supplement to the traditional treatments for social anxiety. Even though the research is still in its infancy, the fact that probiotics have excellent safety profiles and traditional treatments often only provide partial symptom relief makes them enticing treatment targets. Research suggests that social anxiety may have a hereditary component. A couple common treatments exist, but they only provide a partial relief of symptoms. Fortunately, probiotics have shown some very early promise as a potential safe supplement to traditional treatments. A recent study has been touted in the media as providing evidence for the anti-anxiety efficacy of consuming fermented foods that are likely to contain active probiotic cultures. Tantalizing headlines included “Sauerkraut Could Be The Secret To Curing Social Anxiety”. However, there were several limitations, warranting a much deeper look than most media outlets took. Let’s see what this study can really tell us, if anything. Researchers provided surveys to 710 university students to determine their level of social anxiety, neuroticism, and agoraphobia. The survey also asked how often the students exercised, and how often they ate fermented food. 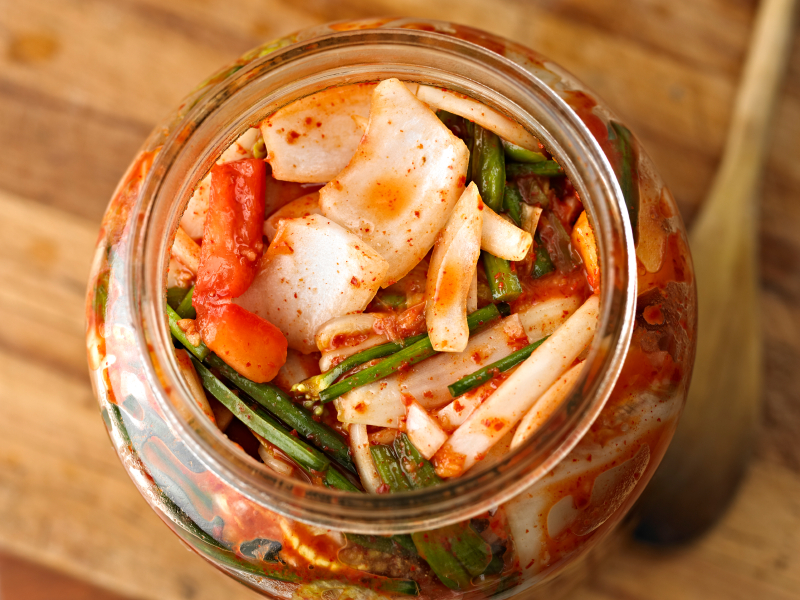 As hypothesized, students that ate more fermented foods tended to experience less social anxiety. 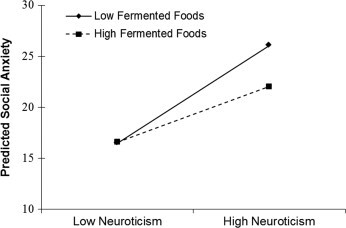 Moreover, they found that, as seen in the figure below, social anxiety and neuroticism were positively correlated, and the more neurotic a person was the greater that chance that high fermented food intake might help reduce levels of predicted social anxiety. However, before jumping to conclusions, there are a few extremely important limitations to consider. This was a cross-sectional study, which only shows correlation, not direct causality. The authors cannot be sure if it was the high fermented food intake that led to low levels of social anxiety or if low levels of social anxiety led to increased consumption of fermented food. It is also possible that an unknown variable caused both the increased consumption of fermented foods and the decreased social anxiety. It’s also possible that some property of the foods other than their probiotic content affected social anxiety. Furthermore, the nature of a survey or questionnaire is subject to self-report bias. The authors can’t be sure if the participants were being truthful or could even remember exactly what they ate or how much they exercised over the past thirty days. And since the sample was made up of college students, the findings may not be applicable to the general population. Finally, and most importantly, lower levels of predicted social anxiety were also observed in participants that ate more fruit and vegetables, as well as those who exercised frequently. It’s not possible to determine whether exercise or fruit and vegetable consumption are confounding variables or not. This is especially important in light of a recent randomized control trial that found a reduction in symptoms of social anxiety following two months of aerobic exercise. Based on survey data from 710 university students, a recent study found that consumption of fermented food likely to contain active probiotic cultures was inversely associated with predicted levels of social anxiety. However, due to many limitations and confounding variables, further research is needed before any assertions can be made. That being said, this study is consistent with other clinical trials that have also demonstrated anxiolytic effects of pre and probiotics in humans. Unfortunately, the exact biological mechanism behind this is still unclear. However, according to preclinical animal trials, there is mounting evidence that certain gut microbiota can have anxiolytic effects through gut-brain pathways, possibly via the vagus nerve. Supporting these findings, the ability of the gut and brain to bidirectionally communicate through neural, endocrine, and immune pathways, also known as the gut-brain axis, has long been recognized, and recent research has made it increasingly clear that interactions with intestinal microbiota are an important part of this communication. Furthermore, a couple more specific potential mechanisms for how the probiotics confer their anxiolytic effects have been proposed. For instance, given that research has found a positive association between gut inflammation and anxiety-like behaviors, some have hypothesized that probiotics could potentially colonize the gut, displacing species that are harmful to health, and, in turn, may reduce gut inflammation and the associated anxiety-like behaviors. 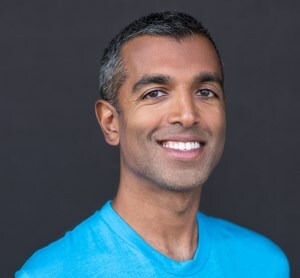 Others have proposed the involvement of the serotonergic system in the neurobiology of anxiety, especially since research surfaced suggesting that certain intestinal microbiota can increase levels of tryptophan in the blood, and therefore potentially facilitate the turnover of serotonin in the brain. Overall, research on probiotics and anxiety is still in its early stages. According to the authors, this is the first study to provide some extremely limited observational evidence for the efficacy of probiotic supplementation to fight, specifically, social anxiety, and thus, they did not mean to infer causality. Regardless, due to several limitations imposed by the study design, and the huge number of possible confounding variables, this study should solely serve as preliminary evidence, especially considering how strong of a confounding variable exercise is, as several papers have demonstrated its anxiolytic effects. However, if further well-conducted RCTs can suggest a causal role, independent of exercise and other possible confounding variables, probiotics or fermented foods consumption could potentially serve as great low-risk supplement to traditional treatment for social anxiety. While the study results seem to support probiotic supplementation to help treat social anxiety, they can easily be misinterpreted in the midst of several limitations and confounding variables. The only thing we can state for certain is that further well-conducted RCTs are necessary before we make any conclusions about probiotics and their possible, low-risk health benefits.